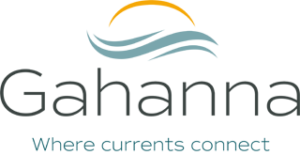 The City of Gahanna is committed to fiscal accountability and transparency with its budgetary and financial information. The following documents are provided online for resident and stakeholder reference. 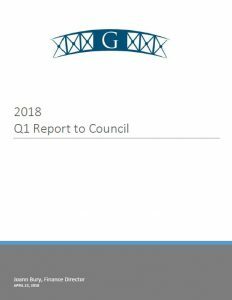 Here is a link to the most recent performance audit performed by the Ohio Auditor of State. Any questions about the information contained within these publications can be directed to Finance Director, Joann Bury. The GFOA established the Certificate of Achievement in Financial Reporting Program (CAFR Program) in 1945 to encourage and assist state and local governments to go beyond the minimum requirements of generally accepted accounting principles to prepare comprehensive annual financial reports that evidence the spirit of transparency and full disclosure and then to recognize individual governments that succeed in achieving that goal. The City has received the Certificate of Achievement in Financial Reporting every year beginning with the submission of the City’s 2013 Comprehensive Annual Financial Report. The City has also received the Distinguished Budget Award every year beginning with the submission of the City’s 2014 Proposed Budget. 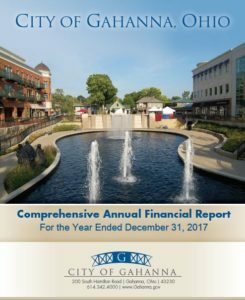 The City of Gahanna is committed to fiscal accountability and transparency with its financial information.On a quarterly basis, the City will publish its quarterly financial update to Council. 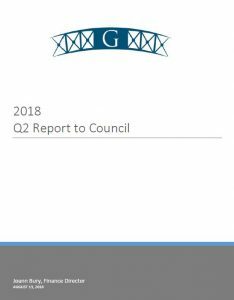 The Comprehensive Annual Financial Report (CAFR) contains the audited financial statements of the City and other financial and statistical information required for consideration of the GFOA Certificate of Achievement in Financial Reporting. 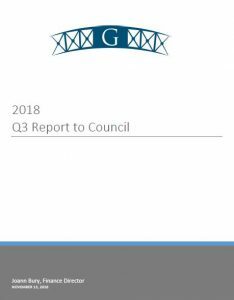 It is a thorough and detailed presentation of the City’s financial condition prepared in accordance with generally accepted accounting principles and is presented in three sections: introductory section, financial section, and statistical section. The full auditor’s report can be located on the Ohio Auditor of State’s website.